Are you having problems with a commercial lock? A commercial locksmith can repair, rekey, or replace your lock so you can start relying on it again. Locksmith San Tan Valley is a professional business locksmith with a fast response service that is available 24/7. We make locks work for you the way they should. Learn more about our services. We can repair any type of commercial lock, helping you avoid frustration and keeping your costs in check. Whether it’s a door lock, a cabinet lock, or an auto lock, our team of experienced locksmiths use the latest tools available to resolve the problem quickly. Common causes that can damage a lock include improper use, physical damage to it (whether intentional or accidental), and wear and tear, which can be aggravated by constant exposure to the elements. As a commercial locksmith, our services are adapted to your needs, providing a more specialized service than a residential locksmith would provide. With rekeying, you don’t have to replace the entire lock. Instead, you replace only the tumbler or wafer, so that a new key will work with the lock. Commercial rekeying is usually done for commercial purposes. If access rights to an area have changed, or if you are concerned that unauthorized people may have access to the area or contents behind a lock, rekeying is the most effective way to increase security without the higher cost of a replacement. 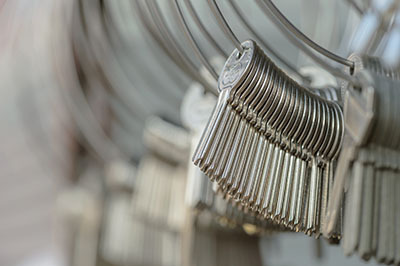 Depending on your needs, we can provide you with as many new keys as you need. When lock repair or rekeying are not an option, you can choose lock replacement. Our commercial locksmith services can replace any commercial lock fast and without creating any security vulnerabilities in the process. Whether the lock is outdoors or inside, our professional locksmiths can quickly and safely replace it with the same type of lock. You can also opt for a stronger solution, if you are concerned about your security. Keep your investment safe and regulate access to your commercial property by repairing, rekeying, or replacing your locks. Locksmith San Tan Valley offers fast, round the clock commercial locksmith services for doors, gates, automobiles, file cabinets, and more.